Ms. Potes was born in Cali, Colombia and moved to the USA in 1983. She began composing music in 1990 and has established a career as a composer with a subtle, yet energetic and personal style. In her music, one notes rich European influences blended with occasional traces of rhythms and melodic gestures inspired by Latin-American traditional music. Ms. Potes is the Artistic Director and Founder of the music series Las Américas en Concierto (americasenconcierto.org). She is presently working on the opera, Comala, based on the novel Pedro Páramo by Juan Rulfo with a libretto by the acclaimed Colombian writer, William Ospina. This ongoing project was preceded by Pedro Páramo, an hour-long cantata for narrator, tenor, baritone, mixed chorus and four instruments that was commissioned by Cantori New York and the Roger Shapiro Fund for New Music. Pedro Páramo was conducted by Mark Shapiro with guest artists Peter Tantsits, tenor, Dan Kempson, baritone and Alfonso Diaz, narrator. Orchestral performances include Reflexiones by the Queens-based string orchestra conducted by Eugene Muneyoshi, Lucidity Chamberistas, the world premiere at Carnegie Hall of Tucanos for guitar and chamber orchestra performed by Nilko Andreas Guarín and the Azlo Orchestra conducted by Vince Lee, the world premiere of Cantares para Orquesta by the National Philharmonic Orchestra of Venezuela (XVI Festival de Música Latinoamericana) conducted by Germán Cáceres, and the El Salvador premiere of Cantares para Orquesta by the National Symphony of El Salvador (IV Festival Internacional de Música Contemporánea) conducted by Alfredo Rugeles. Ms. Potes' music has also been performed by the Montreal Chamber Orchestra, The North/South Consonance, the National Symphony of Colombia, the Symphony Orchestra of Cali, Darmstadt 2000 Internationale Ferienkurse fur Neue Musik, International Alliance for Women in Music, the ISCM in New York, Parnassus, the Composer's Conference at Wellesley College, the Network for New Music, Momenta Quartet, Ensemble CG (Colombia), The Stefan Wolpe Society, The New York New Music Ensemble, the Institute for New Music in Freiburg, Germany, and the ISCM in Seoul, South Korea. Her music has been heard in England, Colombia, Brazil, Austria, El Salvador, Germany, Mexico, Argentina and Venezuela. Her compositions, Cantares para Orquesta and Reflexiones, were winners of the 2002 New Music Reading Sessions of The Women's Philharmonic in San Francisco and the 1994 Riverside Symphony's First International Composers Reading Project in New York. She is the winner of the "Music of Changes Competition", whose prize included a commission for Y la brisa trae aroma de cadmia and a concert dedicated to her works. 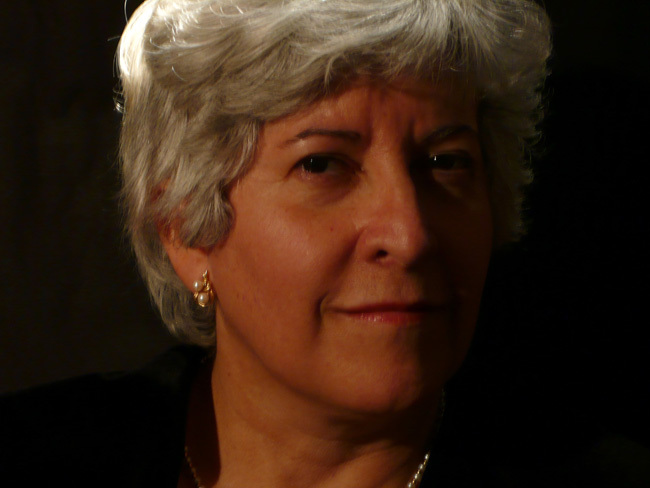 Ms. Potes has received commissions, among others, from the Ministry of Culture of Colombia, Music of Changes, Cantori New York, Independence Foundation Fellowship in the Arts, Colombia's Luis Angel Arango Recital Hall/Banco de la República, Roger Shapiro Fund for New Music and the Office of Academic Affairs of Hostos Community College. She holds a DMA and a M.M. in composition, as well as a B.M. in music theory from Temple University where she studied composition with Matthew Greenbaum, Ursula Mamlok and Maurice Wright. Ms. Potes teaches at the College Preparatory Division at Mannes School of Music-The New School, Pratt Institute, and Borough of Manhattan Community College/CUNY.